Comments are open below for your memories. Long time SBE member Terry Denbrook passed passed away Sunday, Oct. 23 at the age of 66. Terry was a cancer survivor but had suffered from complications due to its treatment. He never let those complications slow him down. Terry’s career in broadcast started at a young age. His radio life began at KTWR (now KMTT) in Tacoma in 1958 mentored by KTWR’s founder Tom W. Read. 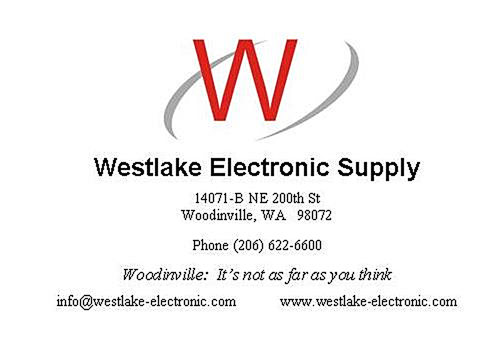 While a student at Tacoma’s Wilson High School, Terry worked as a board op and engineer for KLAY-FM Tacoma for 4 years. Once in college as a student at Pacific Lutheran in Parkland WA, Terry became the program director and engineer for KPLU. He graduated from Pacific Lutheran University and attended Bates Technical College in Tacoma and the University of Oregon in Eugene. After five years at KPLU, Terry worked as a freelance engineer in radio and for Puget Sound Audio. In spring of 1965, the father and son team of Loren F. Denbrook and Terry W. Denbrook founded a company called Denbrook Enterprises with the goal of starting the first FM-only commercial radio station in Spokane, Washington. KTWD went on the air in 1966 as Spokane’s first stereo FM station. At the age of 21, Terry served as chief engineer and station manager and lived in an apartment right above the station whose call letters contained his initials. In 1970, Denbrook Enterprises sold KTWD and Terry entered the world of television. He worked six months at KGVO-TV (now KECI, Missoula) as maintenance engineer, master control switcher and one of the first ENG (electronic news gathering) operators in the country. He then spent two years at KREM-TV Spokane as a video tape operator and camera operator. Terry came back to Tacoma to help with his father’s electronics company and to start his long association in broadcast services at the University of Washington. With Puget Sound Audio, Terry was frequently called to service tape recorders at KUOW radio in Seattle. It wasn’t long before he was offered and accepted a half time position at KUOW, at the same time, he also took a part time job at KCTS Channel 9. It was Terry’s intention to make his career in TV but, in the end, he decided to stay in radio. In 1976 Terry accepted a full time position as the Chief Engineer at KUOW, a position he held for 35 years. 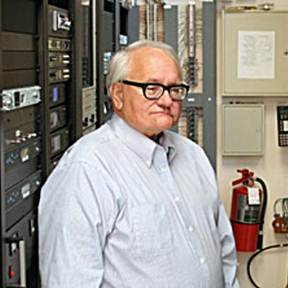 Over this time he helped guide KUOW into the 21st Century by pioneering HD Radio multicast services and expanding its reach throughout western Washington. Terry’s engineering expertise did not stop at KUOW as he often helped out those stations in need. Ever passionate about broadcast, Terry helped form the local chapter of the Audio Engineering Society in 1978 and was recognized for his efforts in 1998 as founding chair and Treasurer Emeritus by AES. He always looked forward to attending the AES, PRC and NAB each year to catch up and reconnect with vendors and other engineers. Terry’s interests extended far beyond engineering. His love for the Big Band Era, pop music of the 1950s, and especially Broadway musicals was legendary. He saw a musical every time he got the opportunity, whether it was in New York, Las Vegas, or Seattle. He provided inspiration and guidance for KUOW’s program The Swing Years and over the years donated many musical works to The Swing Years library. He is survived by his brother, Rob Denbrook, Rob’s children and grandchildren along with his dear friend Janet “Tsunami” Barnes. A good friend who will be missed dearly. Ya know, it’s kind of funny, but I’ve managed the tower that Terry stored his most significant radiators on for 12 years now. I’ve seen him move antennas up, down and around. I’ve seen him do some amazing things and some things, to be honest, that I’ve questioned. But for some reason, when I think of Terry, I can’t help but be reminded of the time we spent one evening at 13 coins. The dude ate three bowls of french onion soup and talked about old cross bar phone exchanges for hours…..
A significant loss of a long time Broadcast Engineer in our area. I first met Terry way back in the 60’s when he was working for Clay Huntington at KLAY in Tacoma. Many of you have known Terry for many years…. My prayers go out to his family, he was a good engineer. Just looked at your transmitters old friend…. They continue to percolate….. You will be missed. Sorry to hear about Terry’s passing. His presence at KUOW, public radio and the broadcast community will be sorely missed. I enjoyed Terry’s company on numerous trips to various AM stations from Lacy to Juneau. Terry was happy to help various station owners install new facilities or get back on the air … even when it was clear that being paid might be troublesome. I enjoyed his sense of humor about this business. He was a good friend Hatfield & Dawson. He will be missed. I supported Terry’s satcom antennas for close to a decade. When I first met Terry I had immediate respect for him. We’ve lost a world class radio engineer & heaven gains one. Just heard about this on the Pubtech remailer. Terry was a good friend and customer for many years – we spent quite a few hours on the phone in my tech support days and any conversation we had could be guaranteed to go off track at some point and turn into a discussion on how we could have built the widget better… Some of those suggestions became field upgrades, as I recall. A top guy to work with, all way around. Sad day indeed. Terry always told me that nothing’s impossible, prove the world wrong, and indeed when we would meet at PREC and i would show him my latest impossibility, he’d just pat me on the back and smile. My condolances to the family and friends of Terry. I met him years ago, I believe the first time I attended the Seattle SBE convention back in the 90’s, and a number of times since. Broadcasters have lost a friend. Terry grew up in Tacoma. When I put KTWR 103.9 on the air (KMTT now), Terry would come by the Peck Building studio and was mesmerized by local radio and especially FM. I showed him how to run the board and he got an FM radio so he could listen at home. One day he told me that he would like to “walk in my shoes” and do what I did, build an FM radio station. I told him that if I were going to build another station, I would do it in Spokane. Terry said he was not an announcer and was not able to do the network quality voice work that I did on KTWR and wondered what he should do. I told him to get a tape machine and I would record spots, IDs, and whatever he needed for him at KTWR, which I did. Terry’s father worked for a savings and loan company in Tacoma and called me and asked what I thought about Terry doing in Spokane what I had done in Tacoma with KTWR and how much money would it require. His dad gave Terry the money and he came over to Spokane. I told him to look for a building above the downtown on a hill, like the Peck Building was in Tacoma. He found a small two story building on Garland at the top of the hill overlooking downtown Spokane. Studying what I had done with KTWR (Thomas Wilmot Read), I told Terry he should apply for his initials, KTWD, which he did. Terry was very successful following the KTWR Tacoma pattern in Spokane and was finally able to sell to Kemper Freeman of Bellevue, who had purchased KPEG, 1380 AM in Spokane and wanted an FM to go with it. Terry made a nice profit and that put him on his way to learn more about engineering, his first love. Very sad to learn of Terry’s passing. In 1988, when I arrived as manager at KBCS in Bellevue, I found three transmitters. One worked – sort of – and there were threatening letters on the desk from the FCC. Terry was the first local engineer to help me start sorting things out and continued to be available as an adviser for years as we rebuilt that station. Terry was sitting in a red, low slung, swivel-style, rolled & tucked bar chair at The Roostertail restaurant on the day I first met him. As those who have posted messages before me, I couldn’t help but instantly observe that when Terry spoke, he projected a quiet, reserved gentleman. Yes, Terry held and shared some strong opinions, but they seemed to to be fitting to the conversation at hand and they often extended a discussion that might have otherwise stalled in some bland mutual agreement . Fond, positive memories of over three decades of camaraderie with Terry will be carried as a blessing in my life. Hip, hip, hooray! for Terry having touched all of our lives…a good man has passed away. Terry had an eye for broadcast quality, and applying new technology. That’s why I always sought him out at NAB conferences and had occasional phone chats for his opinions. I had the pleasure of working earlier this year with Terry on a new type of FM signal repeater, which he had the experience and wisdom to champion for KUOW. Work will continue on the repeater project until completion next year, but I will dearly miss working with him! We pass our thoughts and condolences to Terry’s family and friends. Terry was long standing customer with BSI and would always visit at NAB. He had a true passion for broadcasting and he will be very much missed. We’ve lost a good man. I’ve been honored to have known and worked with Terry for the past 11 years, maintaining our station KBLE am-1050 in Seattle. I know he also serviced the station for quite some time under the previous ownership too. A great thing about Terry is that his work ethics were: Get it up and running, do it right, and shortcuts are not allowed as a long term solution. He will be dearly missed and his family will remain in our prayers. Terry will be truly missed by many. As a work study student and as an engineer Terry patiently taught me so much about broadcasting. He helped me set up the NPAN studio for Northwest Journal. Then he helped me figure out the Web and we muddled along together on that project for some time. I liked his sense of humor! I’m so sorry to hear he is gone from this world. I’m saddenned to learn of Terry’s passing. I worked with Terry in the 80’s and early 90’s at KUOW. My first paid job was to learn how to power the station up on Sunday mornings, a task I sensed Terry thought was beyond me. Beneath a seeming gruff exterior was a teddy bear of a man amd wonderful teacher who taught me the respect and care for the equipment and tools that made it possible to do my job. He taught me to love the technics of something I know he considered magical, the medium of radio. David Christian, Retired Director of Engineer for KPLU and Television, Pacific Lutheran University. Terry Denbrook. What a loss of a “brilliant” broadcast engineer in both radio and television. He was a mentor, a teacher, a friend, a coworker who had a lot of wisdom and took on challenging projects. At PLU (71’ to 75’) he had a dream to build a firm foundation in broadcasting for our future NPR station. He installed a transmitter system, like KTWD in Spokane (http://spokaneradio.philcobill.com/ktwd/index.php), but at PLU with the same equipment list. Transmitter was a Gates Type No. FM-5B rated at 5 kilowatts of power. It came from KGMI, Mt Constitution, Orcas Island. The effective radiated power for the set up was 40 kilowatts. The antenna was an eight section Jampro, Type No. 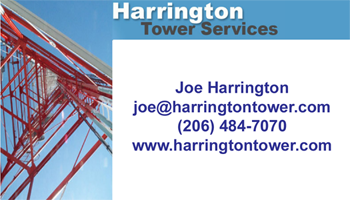 JA-8B side-mounted on an 100 foot guyed tower mounted on the roof of a 65 foot building (Eastvold Auditorium on PLU campus) for an overall height of 165 feet above the ground and height above average terrain was 365 feet. Terry spent many timeless hours working on the Gates Transmitter in getting it ready for operation.